12/18 Months - $64.99 Only 3 left! Do you ever wonder what that strange smell is that's been taking over the house for the past few years? It seems to be with you almost everywhere you go too. No, it couldn't possibly be you. You shower, know how to use the bathroom, and even brush your teeth twice a day (well most of the time at least). Still, you're about at your wit's end. Well lucky for you we dressed up as private investigators last Halloween so we can help you out no problem. As it turns out, that little guy you made not too long ago is a bit of an expert at making some potent stenches in more ways than one. It's not their fault they're a prodigy of sorts though. We just don't understand why people are so offended by it. If they could single-handedly beat any military grade tear gas with just what they can produce from their bodies, they'd always be willing to show it off in public any chance they can! Until society figures out how to properly portray jealousy, we'll just have to warn them when a chemical weapon enters the premises. 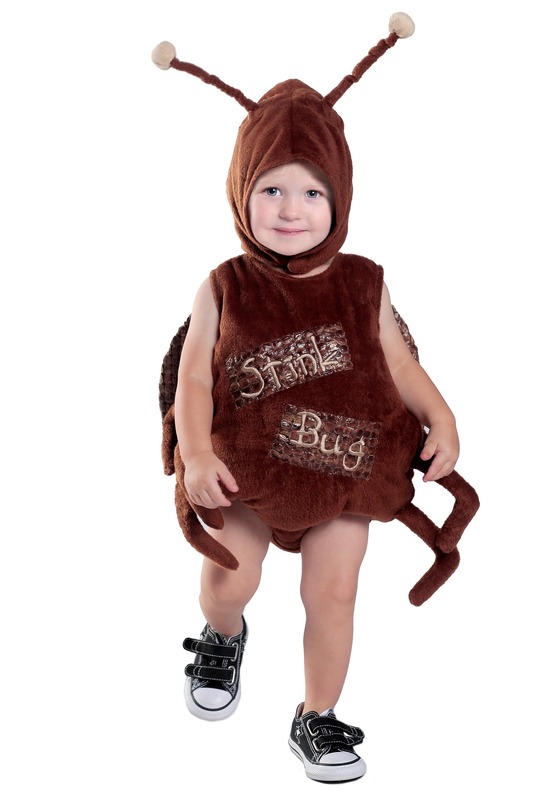 It has to be just as cute as your little love bug though. Bug, hmm... that gives us an idea. We might as well just show them what your little guy really is so they know to either steer clear, or be a little cautious of what your little stinker is capable of. This comfy, easy to put on costume is perfect for doing just that. The only question we have is, where on earth does all that smell come from?